Meningitis Angels are honored to have Dr. David Berman as a medical advisor. Dr. David M. Berman received his B.S. in biology from Virginia Commonwealth University, M.S. in Anatomy from the University of Maryland at Baltimore, and his D.O. (Doctor of Osteopathic Medicine) from Nova Southeastern University. 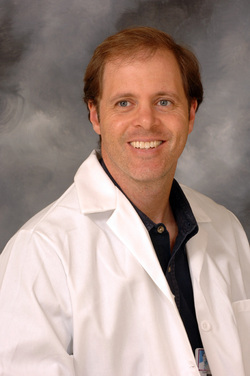 He joined the faculty at All Children’s Hospital in June 2001 after completing a pediatric residency at Schneider Children’s Hospital (Long Island Jewish Medical Center-Long Island Campus for the Albert Einstein College of Medicine) and a pediatric infectious diseases fellowship at the University of Miami-Miller School of Medicine (Jackson Medical Center). He is board certified in pediatrics and pediatric infectious diseases. He is a Fellow of the American Academy of Pediatrics, member of the Infectious Diseases Society of America and the Pediatric Infectious Diseases Society. Teaching appointment is with the University of South Florida, Morsani College of Medicine as a Clinical Associate Professor and Johns Hopkins School of Medicine as an Assistant Professor (Part-time). Dr. Berman has been the recipient of the Sub-Specialty Teaching award from the USF Pediatric Residency Program and received the CDC Childhood Immunization Champion Award for the State of Florida 2014. He serves on several QI hospital committees and infection control. He serves on the Clinical Affairs Committee and Vaccine Advocacy Committee of the Pediatric Infectious Diseases Society and works with the Pinellas Immunization Team for Community Health (PITCH). Areas of interest and research include vaccine and health care advocacy, invasive fungal infections, osteomyelitis, antimicrobial stewardship and infections in immunocompromised children.